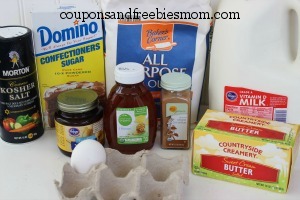 in recipes • This post may contain affiliate links. Read the disclosure policy. One of our favorite parts of eating out is always the rolls served at steakhouses. 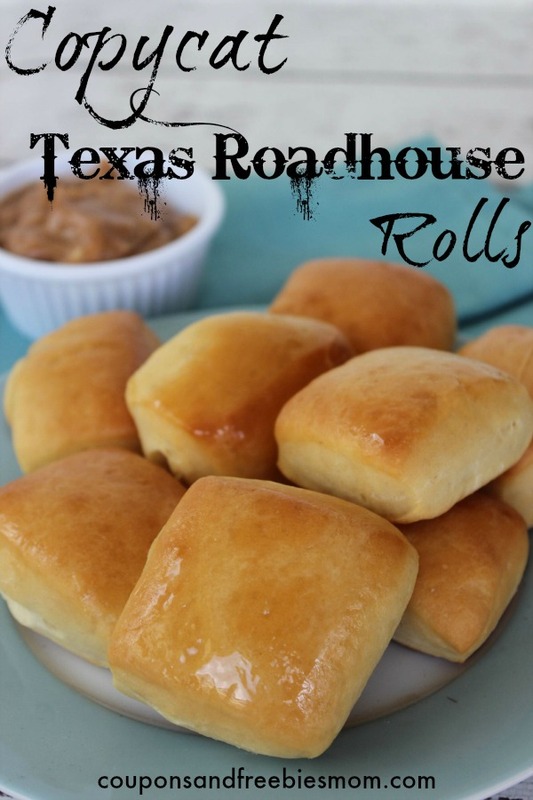 They are so hard to resist and now you can make these Copycat Texas Roadhouse Rolls for yourself at home. While these take a bit more work than our regular recipes, they are totally worth the time. Each batch makes approximately 24 rolls. Make sure you make this when you are having company over so you don’t find yourself sneaking “just one more” and actually eating the whole batch yourself! Scald milk by boiling and then allow to cool to warm temperature. Add yeast, honey and milk to bowl and mix. Let it sit for at least 5 minutes (allow yeast to bloom). Put yeast mixture, 3 tablespoons melted butter, egg and 2 cups of flour into bowl of stand mixer. Mix on low using the bread hook until smooth. Keep slowly adding flour until dough comes together. Add salt and allow to mixer to knead for 8 minutes. Flour work surface and turn out dough and knead for a few more minutes. Spray bowl with cooking spray and place dough in bowl. Cover with a damp cloth or plastic wrap and let rise in a warm place until doubled (about 1 hour). Spray 2 cookie sheets with cooking spray. Punch dough down and turn out onto a floured work surface. 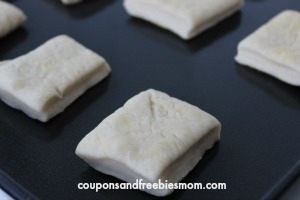 Roll dough into a rectangle, about 1/2? thick. Fold over and gently roll to seal together. Cut into 24 squares and place on prepared sheets about an inch apart. Cover and let rise until almost doubled in size (about 40 minutes). Bake 12-15 minutes or until golden brown. Brush with remaining melted butter. Whip all ingredients for honey butter together until smooth. These copycat Texas Roadhouse Rolls are sure to be a hit in your house. Serve them at your next BBQ, family gathering or make a large batch to be used for your own family throughout the week or even as a great bread to serve your famous chicken salad on this summer.